This project involved an initial phase to the refurbish the existing office buildings on the site, reorganise the overall access arrangement and approach, and ultimately give the whole campus a new identity. These refurbishments included major façade works to give aesthetic improvements as well as enhancing the building fabric and energy performance. 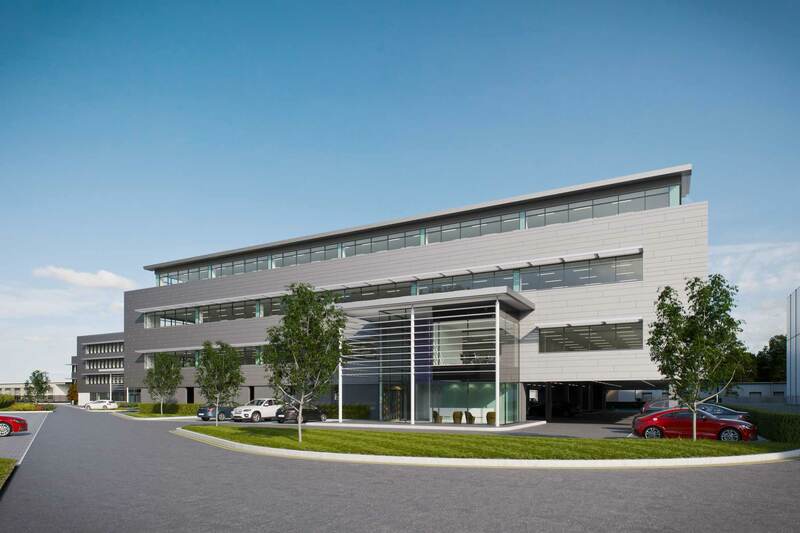 The second phase was for a 43,000sqft new build speculative office development on an adjacent parcel of land that would work in harmony with the proposals for the existing buildings and provide high quality grade A office space. Sustainability was a major part of the brief,both in improving the energy rating and performance of the existing offices aswell as setting the criteria for a EPC A rating for the new build phase with PV panels integrated into the gull wing roof form from the outset.